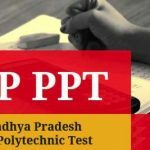 MP PPT (Madhya Pradesh Pre Polytechnic Test) is conducted by Vyapam or Madhya Pradesh Professional Examination Board (MPPEB), Government of Madhya Pradesh. 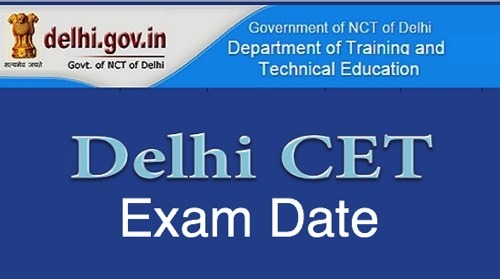 It is a state level entrance exam conducted to offer admission to various diploma programmes. 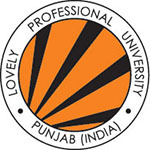 Admission is offered to those candidates who qualify the entrance exam with minimum qualifying marks. 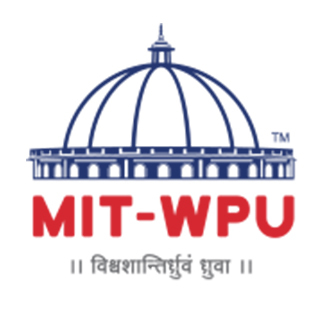 MP PPT is a state level entrance exam for admission in polytechnic colleges in Madhya Pradesh. MP PPT admission for diploma courses in all polytechnic colleges of Madhya Pradesh. Through this process, applicants can get admission into Polytechnic or diploma courses. 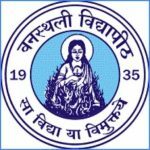 These courses offered by the various private & government polytechnic colleges in Madhya Pradesh state. This gives an opportunity to an applicant to take admission into the various polytechnic course like different colleges and institutions of the Madhya Pradesh state. And many governments sponsored and self-financed Polytechnic colleges in Madhya Pradesh consider the MP PPT exam for providing admission. Applicants have to visit the official website to apply for the courses. On the home page, the applicants will be able to see the link for the application form. Once the applicant’s clicks on the link the application will open on the new page. In case any mistake arises in the details entered in the application form, candidates can modify/correct the details from the last week of April to the third week of May 2020. It is important to fill the application with all the correct and accurate information. Once the application is filled, applicants have to pay the application fee. Applicants also have to attach the required documents like the scanned copied of the latest passport size photograph, Left thumb impression and also the signature in the advised format and size. Make sure to pay the application fee also as it is a part of the application process. Applicants also have to keep a hard copy of the application form as it will be required at the time of admission. If the applicants decide to submit the application in offline mode, they have to do so before the last submission date, or else it will be rejected, or applicant will have to pay a late fee. Personal Information: Name, Father’s Name, Mother’s Name, Category, etc. Applicants have to upload/ paste photo (recent passport size photo). The applicants must hold the domicile certificate of Madhya Pradesh state. The applicant must have secured a minimum of 35% marks in the qualifying examination to be eligible for applying. The applicants who have passed the qualifying examination with grace marks are also eligible to apply. The applicants whose 10th mark sheet is based on the grading system are converted into number system by the formula given in the mark sheet. Note: Aadhar Card would be not mandatory for filling the form. Exam Duration: Applicants will be given 2 hours to solve the paper. Mode of Exam: Online CBT Mode. Subjects & Questions: There will be three subjects which will have 50 questions each. Marking Scheme: 1 Marks for Correct Answer. The Syllabus of MP PPT 2020 will contain various topics from the subjects of Physics, Mathematics, and Chemistry of 10th level. Candidates can check the complete prescribed syllabus from the website. Applicants need to visit the website for the syllabus information. The competent authority will prepare the MP PPT program. The program will include subjects such as mathematics, physics, and chemistry. 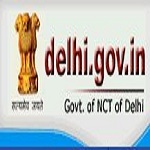 Candidates can study their tenth standard curriculum to get good grades on the exam. Before starting the preparation, you should analyze the syllabus prescribed for the examination. Mark all the essential topics of the syllabus and prepare short notes and revise them at the end of preparations. Don’t take stress while preparing for the exam and take a healthy & nutritious diet. 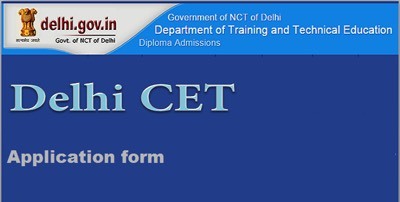 Admit card is also known as Hall ticket and will be released on the official portal. Applicants will be able to download the Admit card through online mode only. MP PPT 2020 Admit card will be released on the website in the first week of June 2020. Candidates who have successfully registered with the website can download the admit card by online mode. No, admit card will be sent to the candidates through the way of courier or post. To download the hall ticket/admit card students have to enter their application number and date of birth. MP PPT 2020 answer key will be available after examination. The MP PPT 2020 Answer key will be available for the students through Online mode only. The MP PPT 2020 answer key will help the students to match the correct answer which was asked in the MP PPT Exam. Once the MP PPT answer key is released, The student will able to calculate the estimated marks in the examination. If there is something wrong in the MP PPT Answer key 2020, Students can challenge the answer key in the given time frame. The authority will take the concern raised by the students, and It will take the necessary step to make it correct. In the case of discrepancy in the answer key candidates can also challenge the Answer key. The Board will consider the objections raised by the students and make necessary changes. The release date for the results will be announced on the official website. After the commencement of the entrance test, the Board will publish the result of MP PPT on the website. Candidates will be able to check their results in the first week of July 2020. Results can be checked by the candidates by entering their roll number and date of birth. The MP PPT 2020 Result will be declared in 1st week of July 2020. MP PPT admission process will be started after the results are announced. By the marks achieved in HSC and MT PPT, the admissions will be provided for counseling. Qualifying candidates shortlisted in the merit list will be able to participate in the MP PPT 2020 Counselling. Merit list will be prepared according to applicants score marks in the 10+2 examination and the score of MP PPT which is valid. Merit list can be downloaded from the portal to check the list of the applicants who have been selected. Applicants have to submit all required documentation for registration and verification. If the applicant submits the incorrect document and found in scrutiny applicants admission will be canceled. There are reservation criteria in MP PPT, and it will follow the same strategy. The strategy states that 95% of the seats are reserved for the applicants who hold the residency of the Madhya Pradesh state and 5% seats are reserved for NRI applicants. If you have any other questions about MP PPT 2020, you can write your queries in the comments box below.